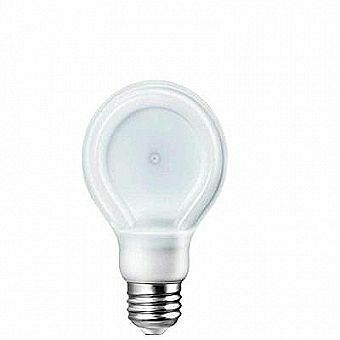 Philips SlimStyle 40W Equivalent Soft White (2700K) A19 Dimmable LED Light Bulb is the same size as a traditional A19 light bulb but with a new, sleek, flat design. Fully dimmable and with a medium base, this bulb replaces your current 40W incandescent A19 and costs about $0.96 per year in energy costs. This 8W bulb uses $22.00 of electricity over its 25,000 hour life a $88.00 savings when compared to the $110.00 required to run a 40W, 450-lumen bulb over the same period. Philips SlimStyle A19 LED provides 360 degree, all around light. The unique shape of the Philips SlimStyle allows it to be used in more applications than your traditional A19, including table lamps, floor lamps and wall sconces.